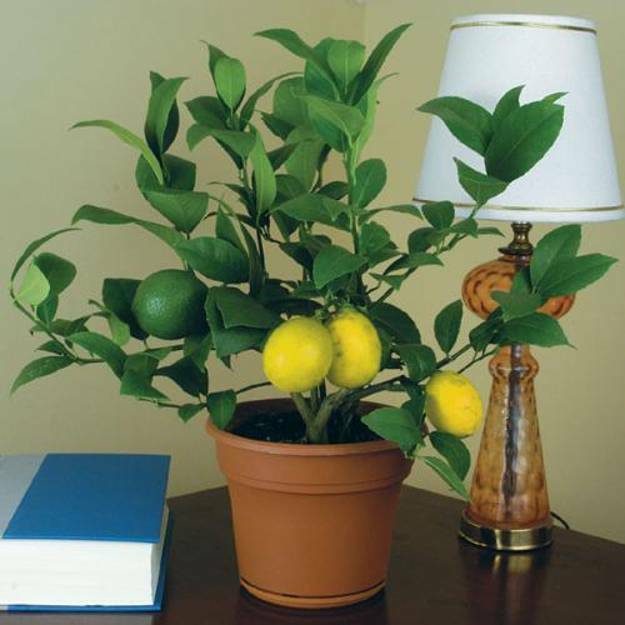 Lemons are great home decorations. 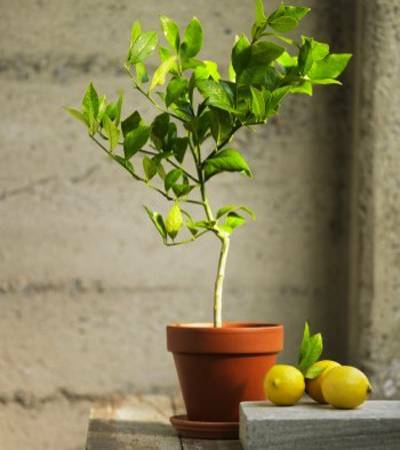 These citrus fruits bring bright yellow color, soft round shapes and fabulous aroma into homes. 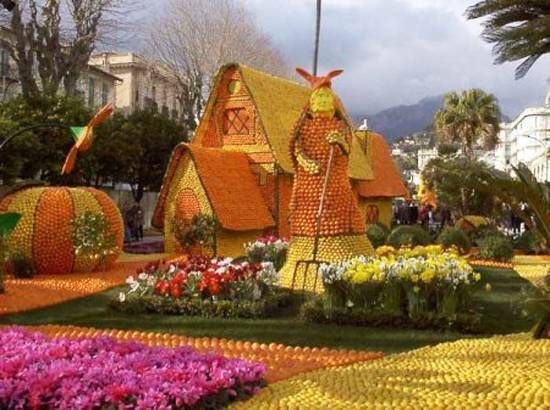 Yellow color brighten up home decorating ideas and looks wonderfully fresh and pleasant with green colors, all white tones, light gray color, light and dark brown colors, pale, pastel and deep purple color shades. 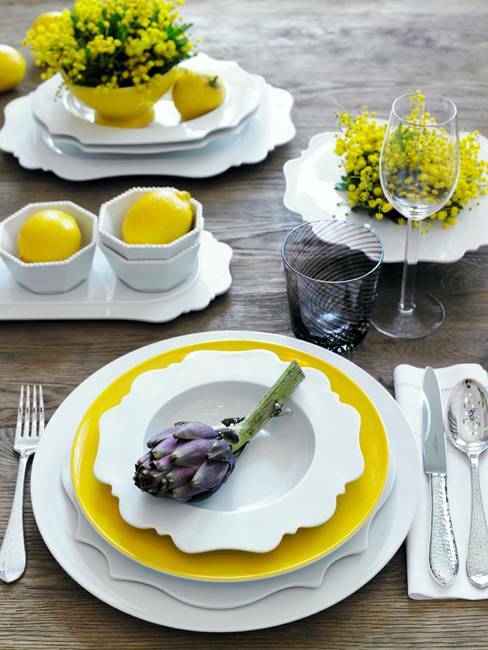 Lemons create gorgeous table centerpieces, add interest to modern wallpaper, home fabrics and wall tiles. 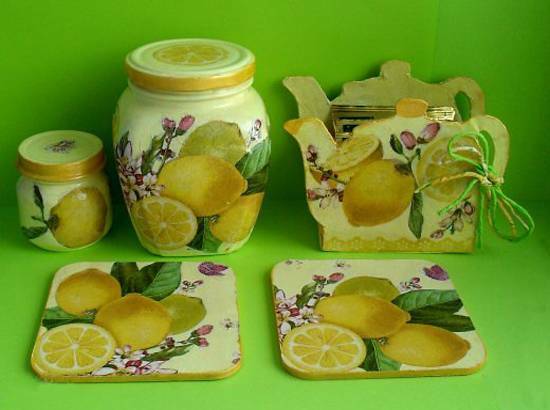 Lemons help to Feng Shui home decorating and staging interiors for a quicker sale. 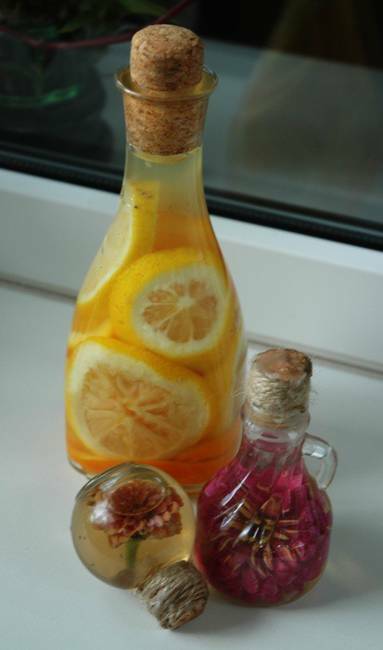 Lemons are fragrant, colorful and cheap decorations. Bright yellow color feels optimistic and happy. 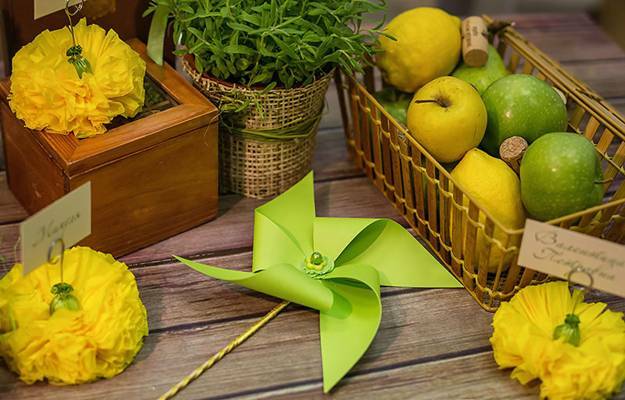 Beautiful and bright lemons are a nice alternative for table decoration and home staging that brings freshness into homes, and create pleasant and inviting living spaces. 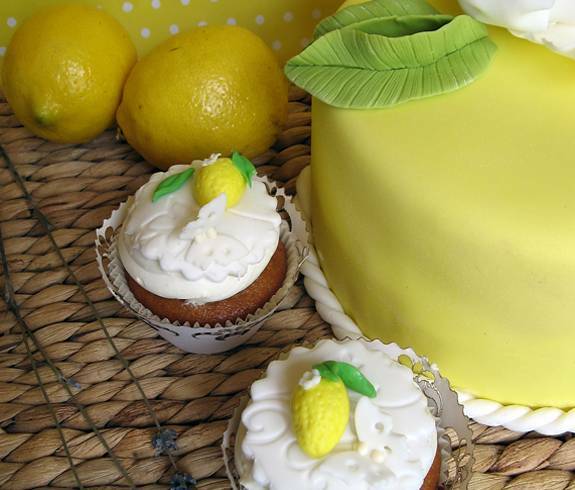 Lemons are ideal for holiday home decorating and special events also. The bright yellow color creates striking color combinations with green colors, all white tones, light gray color, light and dark brown colors, pale, pastel and deep purple color shades and offers fantastic opportunities to harmonize and spice up modern decor. 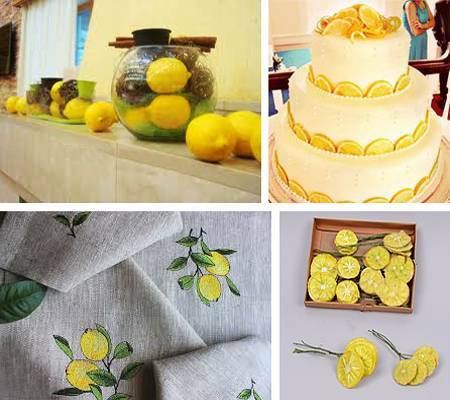 Lushome shares more than 30 home decorating ideas that show how to bring yellow color with lemons into interiors and use lemons for outdoor home decorating also. These creative, simple and beautiful ideas can be used for home staging, wedding decor, or everyday home decorating with fresh fruits. Lemons come in various shapes and sizes. Their beautiful yellow color, unique aroma and availability make these fruits excellent home decorations. There are many home decorating schemes that are based around lemon yellow color. 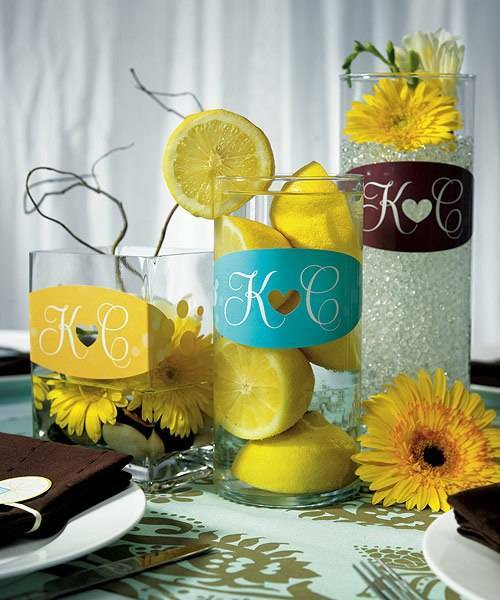 You can use the bright yellow color as a jumping off point to add green colors, all white tones, light gray color, light and dark brown colors, pale, pastel and deep purple color shades and create a fresh and natural color combination for your table centerpieces or interior decorating. 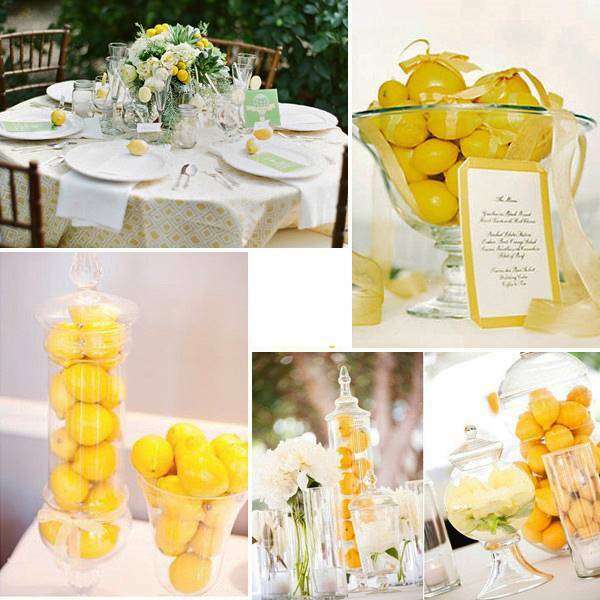 Bright yellow color of lemons is great color to use for home decorating or for your wedding and special events. 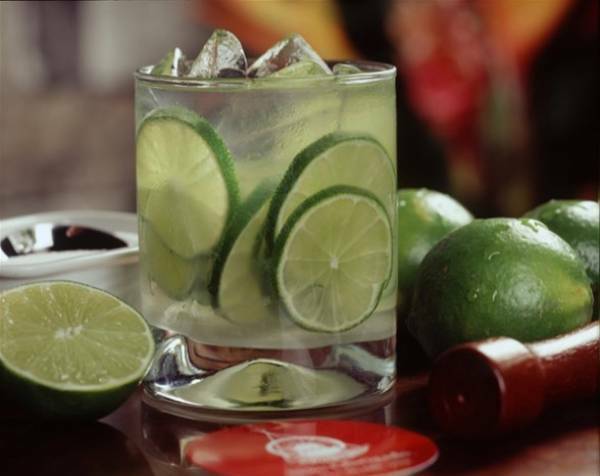 Lemons shapes feature sensual forms and are visually appealing. 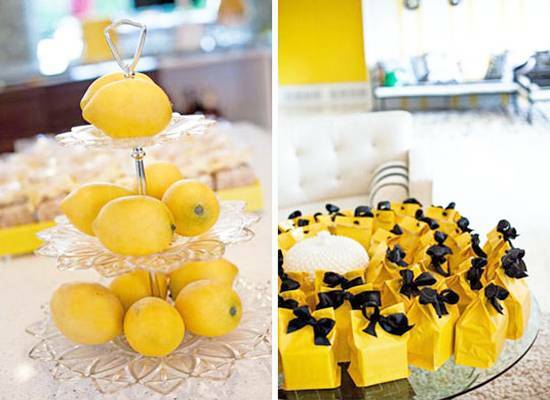 There are numerous ways to use the lemons theme in home staging and decorating interiors or outdoor living spaces. The yellow color works very well in combination with silver and golden decorations, which take home decorating ideas to a level of high elegance and sophistication. 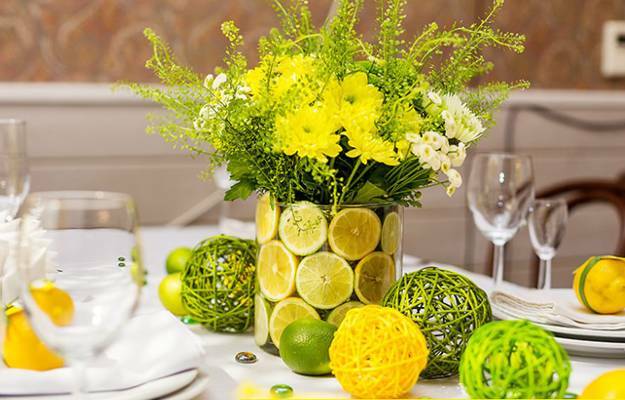 White china with golden details, crystal glasses and fresh green color accents create beautiful table decoration with lemons. 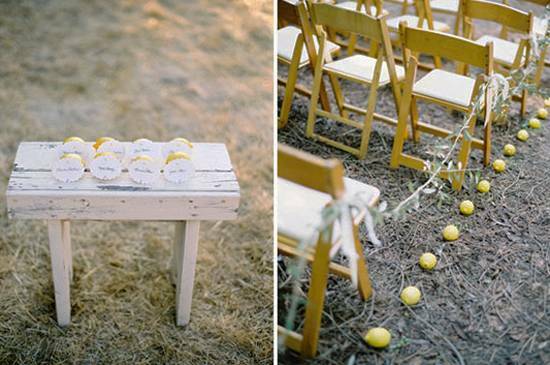 Lemons look great in clear vases and add eye-catching accents to floral arrangements and table centerpieces. 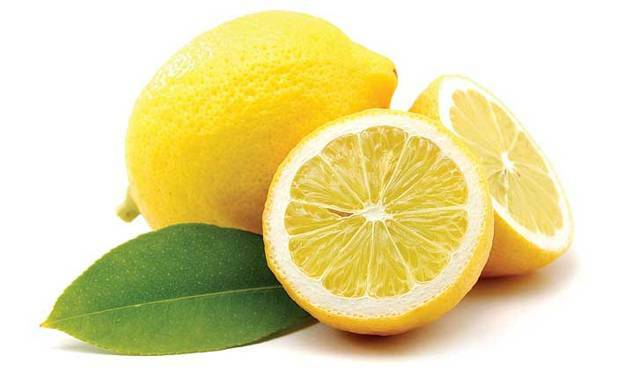 Lemons bring warm and sunny yellow color and look fantastic with all white tones, light gray color, light and dark brown colors, pale, pastel and deep purple color shades, transforming home staging and interior decorating with vivid and natural look. 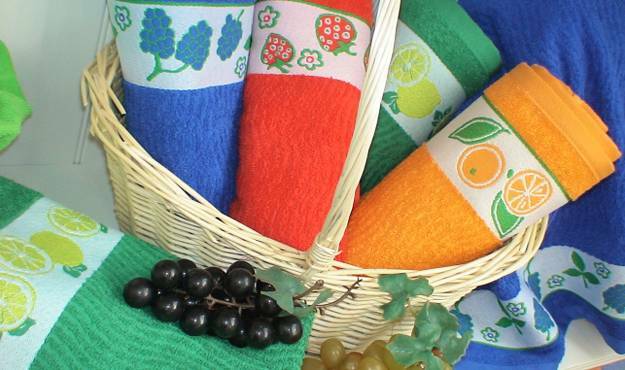 These citrus fruits are wonderful, attractive, eco friendly and cheap home decorations. 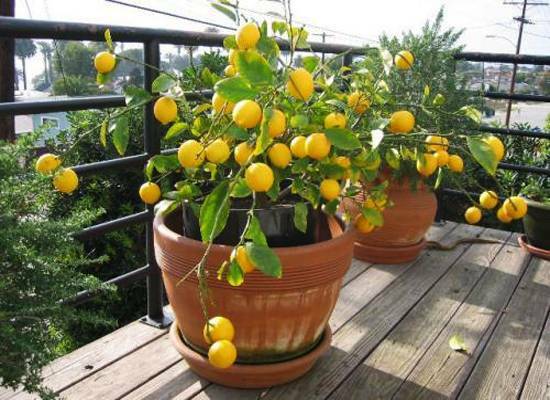 Their exciting yellow color allows to use other fruits with lemons to enrich bright color combinations and add optimism to colorful home decorating ideas. 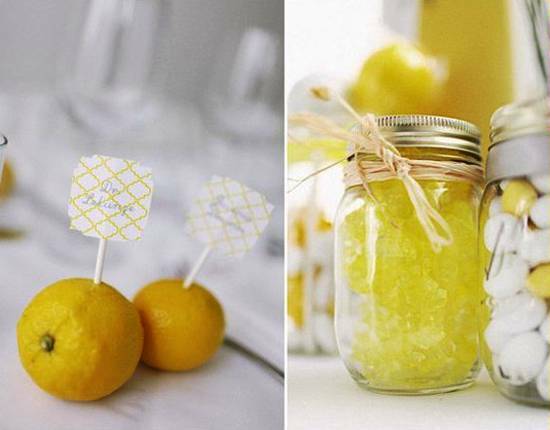 Lemons look charming and interesting in tall clear vessels, either as stand-alone table centerpieces or an element of floral arrangements. 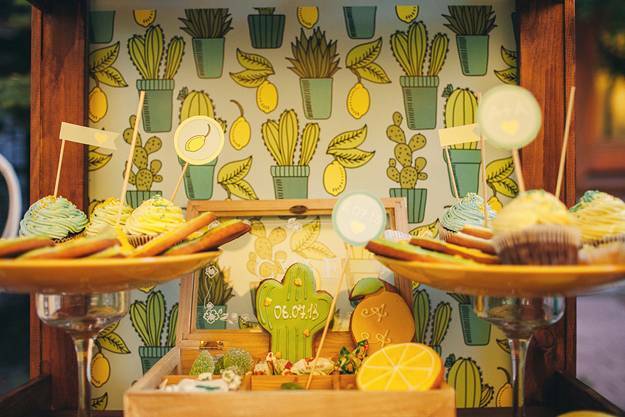 Bright yellow color of lemons, modern wallpaper, home fabrics and tiles with lemon images bring unique designs and natural feel into home decorating. 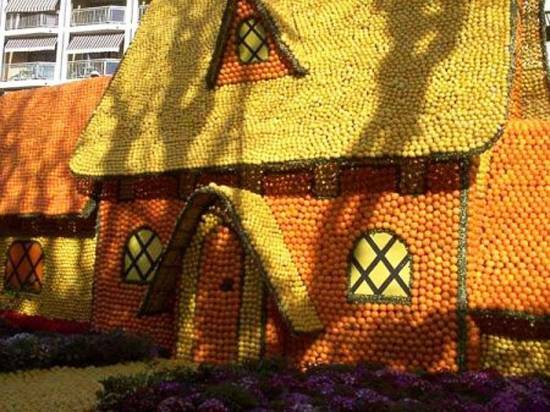 Lemons can be used for home decorating in any season. 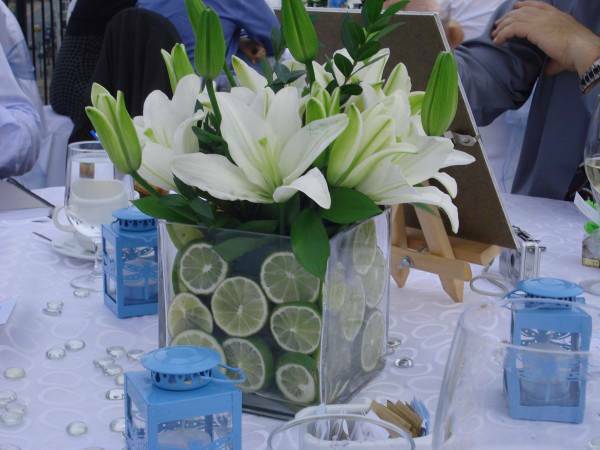 Wonderfully scented floral arrangements and home decorations with lemons look pleasant and harmonious with any decor. 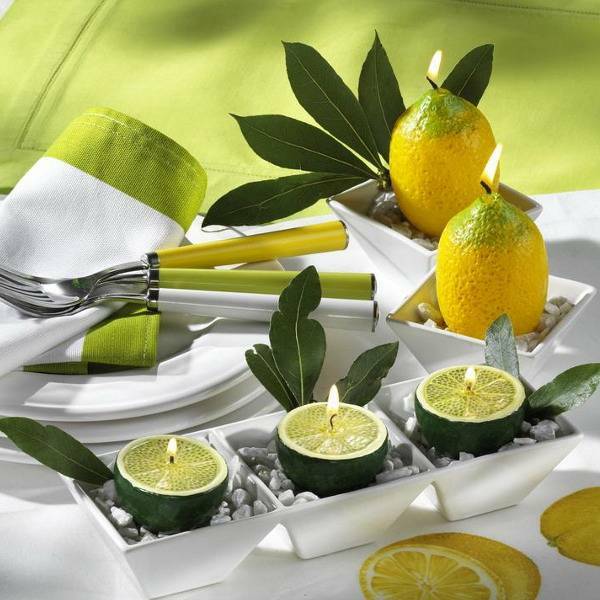 With satin ribbons, blooming branches and leaves that bring green colors, lemons create spectacular displays and beautiful table centerpieces in open bowls. 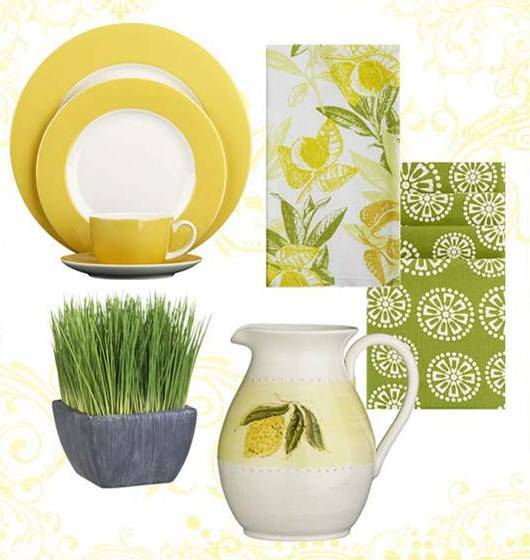 The warm, rich scent and bright yellow color are perfect for spring decorating and summer decor. 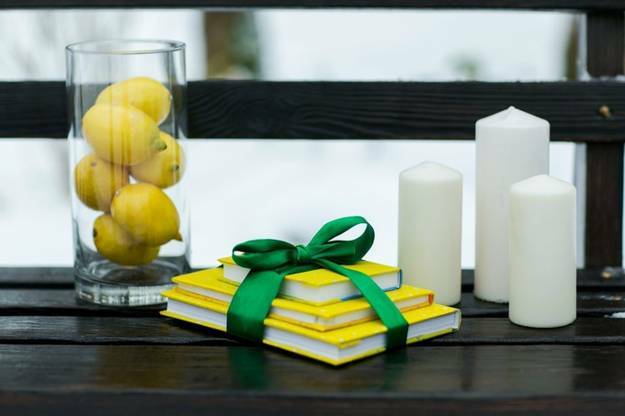 Lemons are great for winter holiday season and add warmth to fall decorating ideas. 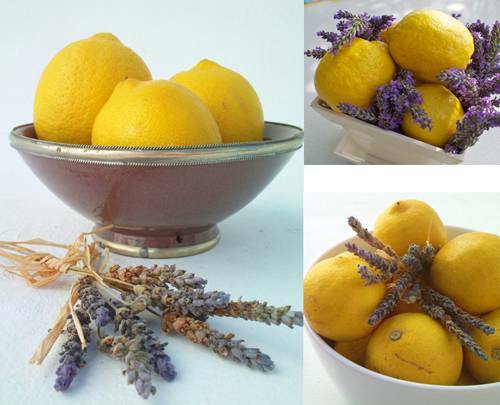 Lemons make charming everyday home decorating and create stunning table centerpieces for holiday seasons. 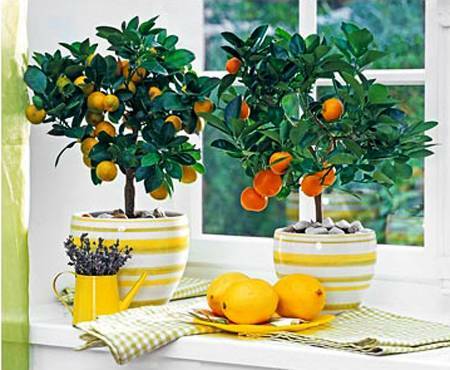 These citrus fruits are widely available and cheap decorations that fill a room with aroma and a bright feel. 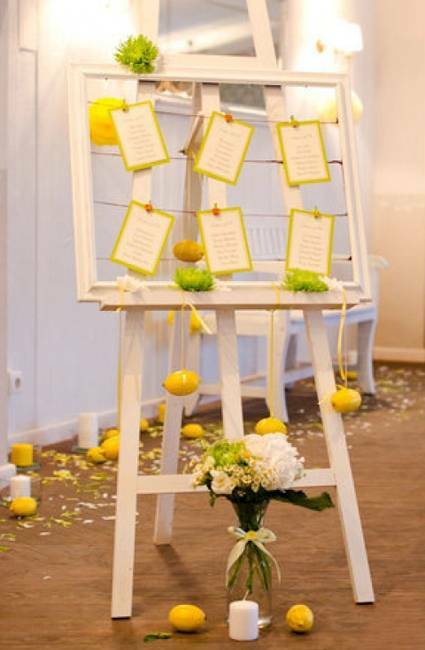 Here are beautiful ways to make your home decorating ideas look colorful and fresh, while saving money and enjoying working with lemons that dramatically improve home staging and interior decorating with yellow color.